The Ring of Beara is a place where waterfalls cascade from mountains and waves crash against sheer cliffs. The villages are colourful, the fields are full of sheep, and the sea breeze is always refreshing. It’s possible to drive the whole route in a day if you’re happy to admire the landscape from a car. But if you want to stretch your legs and connect with the area, then settle in and spend a few days exploring. The town of Kenmare in Co. Kerry is a popular starting point (or end point) for the Ring of Beara. The largest town on the route, its pretty streets are lined with restaurants, cafés, and galleries. Kenmare’s location – at the gateway to the Beara Peninsula and close to some of Co. Kerry’s main tourist spots – makes it a great base for adventures. There are lots of ways to explore the surrounding countryside and horse riding is one of them. Dromquinna Stables, a family run equestrian centre, is just 5 km outside Kenmare town. The combination of gentle horses, friendly instructors, and occasional baby goats makes it extra-special. 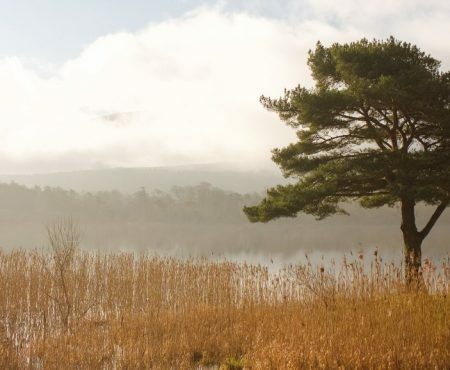 Dromquinna offers rides on the shores of Kenmare Bay and along woodland and mountain trails, but you’ll need to book ahead. Driving down the northern coast of the Beara Peninsula, you’ll pass through an area called Tuosist. Although small, Tuosist is packed with things to see. 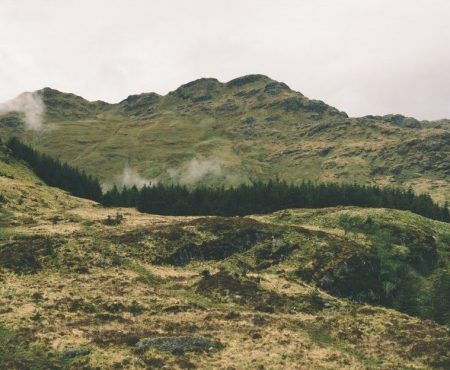 In Gleninchaquin Park, you can wander along marked trails to lakes, past waterfalls, and through meadows. Nearby, the Uragh Stone Circle is an ancient heritage site in a remote spot. It’s worth noting that both Gleninchaquin Park and the Uragh Stone Circle are privately owned, so there are entry fees. The coast of Kenmare Bay, with mountains rising on one side and an expanse of sea on the other, is one of the loveliest stretches of the Beara Peninsula. The first town you’ll reach is Lauragh – an area of lakes and dense woodland. From here, you can drive over the incredible Healy Pass (more on that later) or continue on the main Ring of Beara route. Ardgroom and Eyeries are brightly painted coastal villages, where the houses look cheerful no matter how miserable the weather is. But if the sun is out, Eyeries is a good place to make the most of it. The Strand is a nearby beach with protected waters and it’s usually safe to swim there. Walkers can also join the Beara Way from Eyeries. A long-distance walking trail, the Beara Way is about 220 km altogether. But if you’re not up for nine days of walking, try the section from Eyeries to Allihies. This section takes three to four hours to complete and passes heritage sites that have all kinds of legends attached to them. At the furthest tip of the Beara Peninsula, where craggy hills roll into the powerful Atlantic, is Allihies. This small village has so much character that it’s worth spending a night here. The Seaview Guesthouse is a wonderful place to stay and there are regular traditional music sessions in the pubs nearby. Staying here will also give you time to hike the Copper Mine Trail, which weaves across the wild headland, past old mines and man-made reservoirs. From Allihies, Ireland’s only cable car judders across to Dursey Island – a tiny island off the coast of the peninsula. It’s home to only a handful of residents but lots of bird species. 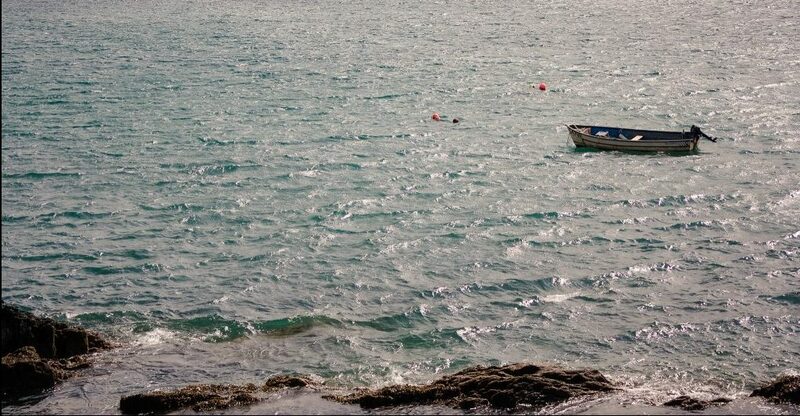 It’s also worth watching the surrounding waters, where whales and dolphins often appear. There are no shops or restaurants on Dursey, so stock up on snacks before you go. Dzogchen Beara is a world away from cable cars and local pubs. A popular Buddhist retreat centre, Dzogchen Beara holds drop in meditation classes and runs retreats throughout the year. Sitting in its clifftop meditation garden, it’s easy to feel like you’re on the edge of Ireland. And if you miss the meditation sessions, stop here anyway for a stroll around the grounds or a coffee in the sunlit café. A fifteen-minute drive will bring you into Castletownbere – a friendly harbour town and the main town on the peninsula. 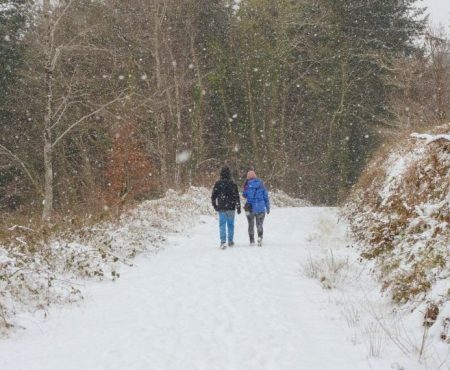 In the grounds of the nearby Dunboy Castle, a tree-lined walking trail skirts the coast. If you look out across the water, you’ll see Ardnakinna Lighthouse perched on the edge of Bere Island. There’s more to Bere Island than the lighthouse. The fields are studded with ring forts, burial sites, and standing stones, so it’s worth hopping on a ferry from Castletownbere to explore properly. Some of the island’s walking trails are part of the main Beara Way and the views of Slieve Miskish and the Caha Mountains make it a particularly scenic section. The highest peak in the Caha Mountains, Hungry Hill (682m) towers over the village of Adrigole. Mare’s Tail Waterfall, which tumbles down the mountain, is thought to be the highest waterfall in Ireland. There are various routes to the summit, but none are easy – you’ll need hiking experience and skills with a compass. And if you don’t even make it as far as putting your hiking boots on, you can still enjoy the view. Depending on which direction you take, the town of Glengarriff will be the first or last stop on the Ring of Beara drive. Explore the forests and shady trails of Glengarriff Nature Reserve, or have a swim and a picnic in the Blue Pool Amenity Area. Garnish Island, just a short ferry ride from Glengarriff, is a dream for anyone with an interest in gardening. The gardens on the island are packed with exotic plants and vivid flowers sweeten the air. Given everything there is to see around Glengarriff, it’s another good place to spend a night or two. Shandrum Lodge, an exceptional B&B that overlooks rolling hills, is a 20-minute drive from Glengarriff and just 10 minutes from Bantry. The owners, Maeve and Jerry, ooze West Cork charm and their nutritious breakfasts will keep you going all day. The Healy Pass is a mountain road like no other. Passing between two of the highest mountains in the Caha range, it’s a thrillingly narrow road with hairpin bends and a sheer drop on one side. The 12 km road runs from Lauragh Bridge to Adrigole Bridge, so it cuts across the main Ring of Beara route. But the views of Glanmore Lake, the intricate rocky landscape, and the overwhelming sense of isolation make it an unmissable detour. The Healy Pass is often deserted, unlike the busy Conor Pass in Dingle, so you might even have it all to yourself. Deciding which trails to hike, which villages to stop in, and which beaches to visit is probably the hardest part of driving the Ring of Beara. But other than some decision-making, exploring this part of Ireland should be about enjoying the landscape and settling into the West Cork pace of life. Planning to do the Ring of Beara drive? You can choose to start the route from either Kenmare in Co. Kerry or Glengarriff in Co. Cork. Both Glengarriff and Kenmare are a 1 hour 30-minute drive from Cork City. During low season, you should be able to book B&Bs while you drive the Ring of Beara. But during high season, it’s best to book ahead.